I first saw this in my crazy eBay days of the early 2000’s, when I stumbled upon a seller of n’th generation VHS dubs. At this point, you couldn’t get much, since no one was making things on DVD aside from blockbusters, and most of the VHS tapes had tracking issues. At least the bootlegs would be new tapes at the very worst. 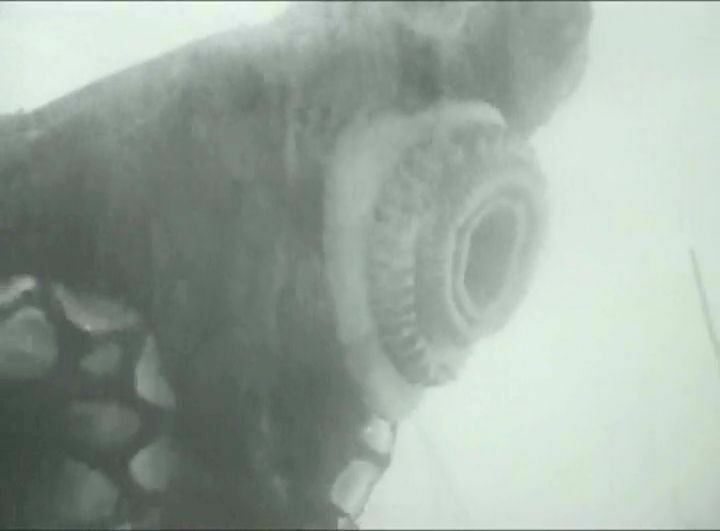 Now I find myself stumbling on it again, this time in a 6-pack of movies alongside the various Piranha and Octopus clones. In ten years, we went from scouring for laserdisc copies to getting a DVD of several movies at the cost of about 40 cents each. But due to the dodgy transfers used in the DVD, they are little more than cheap digitizations anyway, so perhaps we haven’t gotten all that far. Except you can buy them at Walmart now. So I’m not a huge z-grade drive-in movie buff. Despite the cheesiness, things tend to move at a snails pace and involve an awful lot of needless drama. Most is due to the time period and what movies were expected to be at the time, but it still doesn’t leave me terribly interested. 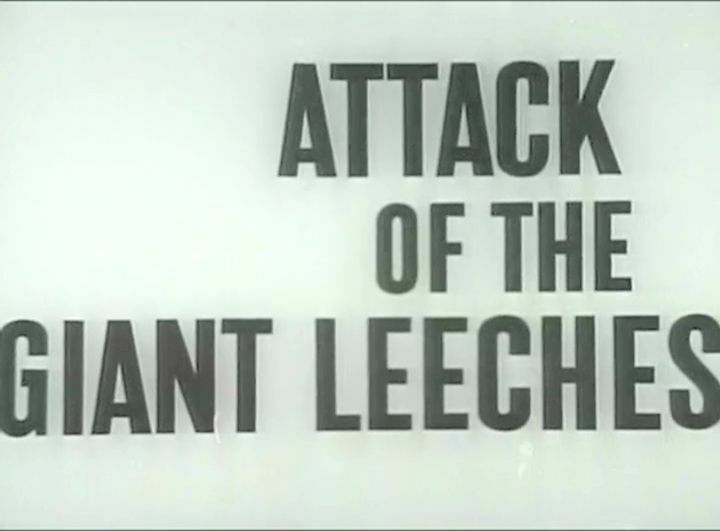 ‘Leeches’ was produced by Roger Corman, so you should have a general idea of where this is going. Some cheap monsters, and obvious human villain, and an equally obvious human hero. Through in a love interest for good measure. The local moonshine producers stumble upon the creatures while in the woods one day. They alert the sheriff, trouble ensues, people fall off canoes and somehow rise up in an underwater cave. Not sure how that works, but it happens to anyone falling into the water. The leeches terrorize anyone who comes near, so rather than leave the lake well enough alone, more and more people come to try and rid the menace. The leeches look more like cones with squid plungers and humps on their back, where a diving tank might have been. If they needed to breathe underwater of course … ‘if’. But much like the drive-in movies, the budget was low, so we can forgive many things. I also love the dialogue. One of the harshest insults is directed towards the sheriff. ‘Go soak your big fat head!’, they yell. The sheriff stops dead in his tracks and dares him to repeat. Ah simpler days.